I hope Tyrod Taylor’s knee is not hurt seriously. Some reports say he’s told people that he’ll be fine. Others have said there will be an MRI on Monday, indicating at least a slight sprain or something similar. That means he could miss at least some of the final four games. If he misses them all, then that will be the end of the Tyrod Taylor Era in Buffalo. I have one response to that possibility. I have nothing against Taylor. He’s a fine man, gives his all, is a model citizen and player, and has the respect of his teammates. But to me, he’s represented everything I hate about the Bills over the last few years and really, over the entire length of the drought. Is Tyrod better than the previous Bills quarterbacks? Yes. That’s the problem. We’ve grown to settle for anything that looks better than what we’ve had the last 17 (soon 18) years. We get enamored with Tyrod’s legs, when we all know you win in the NFL from the pocket. We cite Tyrod’s low interception rate, when we all know it’s because he won’t throw to anyone who isn’t wide open. We blame the lack of weapons and the play calling, when we know that the great NFL quarterbacks overcome that on a weekly basis. Sunday’s loss was just another example…actually the best example…of how Taylor isn’t good enough to beat good teams. The count is now 29-4 for the Patriots against the Bills during the Drought. That will never start to change until the Bills get a top-flight, upper echelon quarterback. Taylor is not that. Sean McDermott’s off the hook now, because of Taylor’s injury. He can make the move he’s wanted to make, and tried to make. 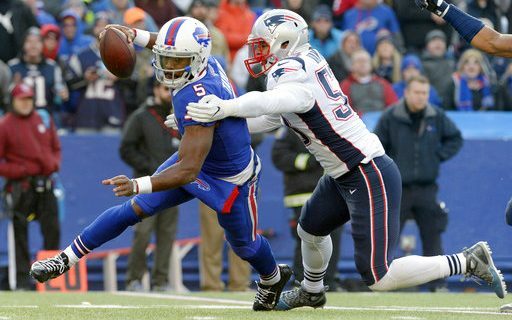 Nathan Peterman will start the rest of the season, with injury as the reason. That will silence all the people who cite the Chargers debacle as the reason not to change QB’s. Peterman will get two winnable home starts, and then we’ll find out whether he is at all part of the long term answer on the road for the final two games. I’m tired of the Bills trying to win with everything but the most important position on the field. It’s time to do whatever it takes to get that player in Buffalo Blue & Red. The end of the Taylor era allows that to happen. Good Luck to Tyrod. 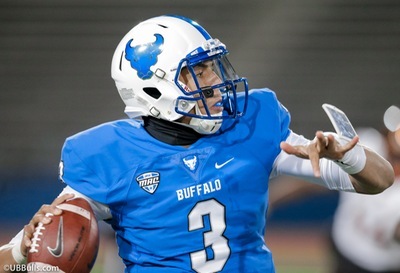 But Good Riddance to mediocre Bills quarterback play.